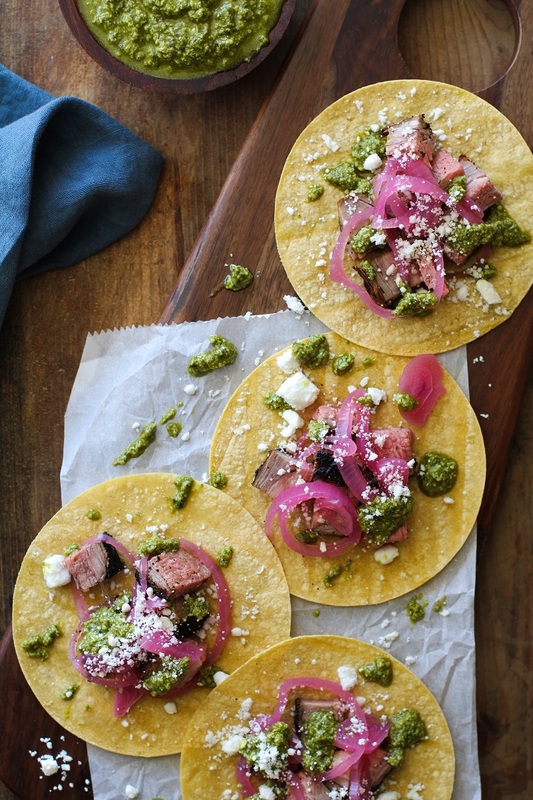 Coffee-rubbed grilled tri-tip tacos with homemade chimichurri sauce, cotija cheese, and pickled red onions make for a unique, mouth-watering meal! While I’m not typically hyper-motivated by beef, crispy-on-the-outside, tender-on-the-inside grilled-to-perfection tri-tip is one of my meat faves. The smoky flavor? The juicy, tender texture? Major drool status. 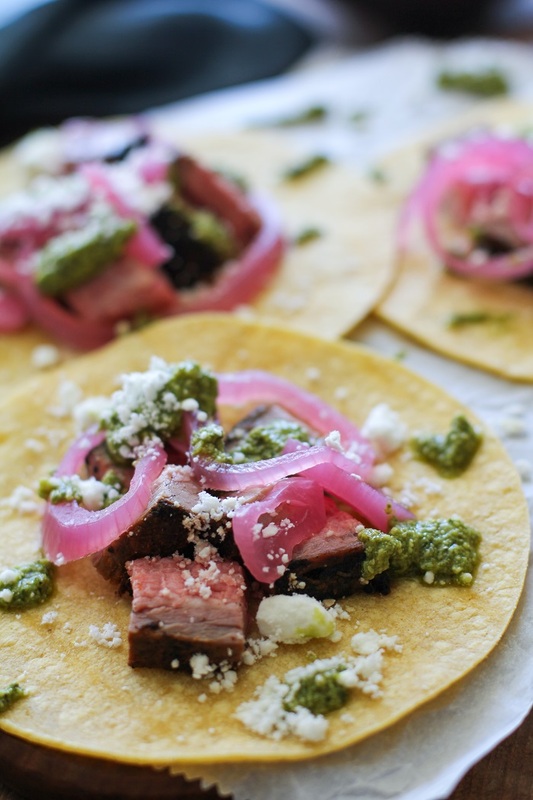 Chop up that meat and turn it into a fresh and frisky taco topped with homemade chimichurri sauce, pickled red onions, and cotija (or queso fresco) and we’re talking seriously mouth-watering bites of bliss. 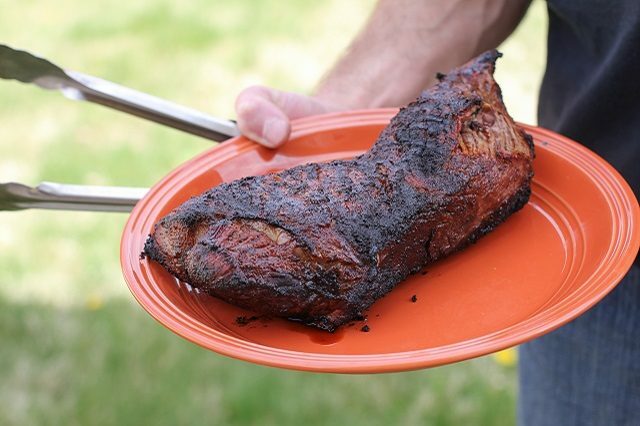 Have you ever grilled tri-tip? Boy oh boy is it just one of the joys in life? I recently wrote an article for eHow.com on How to Grill a Tender and Juicy Tri-Tip, which is an easy step-by-step photo tutorial on tri-tip grilling, and is also full of useful tips and tricks. 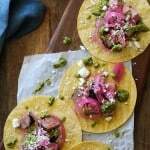 For those of you who are new to grilling big slabs of meat, I recommend checking out the tutorial prior to making these tacos. Let’s talk rubs versus marinades…do you have a preference? Some people are into rubbing, while others are all about marinating…choose your pleasure. I always recommend a dry rub when grilling tri-tip, as I find it yields the most delightful crisp on the outside. I feel like you can’t really go wrong with the herbs and spices you choose for a dry rub, and have found ground up coffee beans make for a fantastic addition to any dry rub for beef, chicken, pork, even seafood. Taco toppings, my friends. Let’s chat. I made pickled red onions and chimichurri sauce, but if you’re looking to save time, you have plenty of options. You can chop up a regular ol’ white onion and fresh cilantro, and even use store-bought pepperoncinis and/or pesto sauce in place of the pickled red onions and chimichurri. So long as you have something briny, cheesy, and saucy, you’re sure to love any rendition of this coffee-rubbed delight. Add all ingredients for the chimichurri sauce to a food processor and pulse until well-combined but still chunky. Transfer to a jar and set aside until ready to use. Stir together the ground coffee, chili powder, onion powder, mustard powder, and sea salt in a small bowl. Rub the whole surface of the tri-tip with the rub and gently pat into the meat. Place meat in a casserole dish and refrigerate 1 to 6 hours. When ready to grill, place tri-tip on a plate and allow meat to come to room temperature - this ensures the meat will grill evenly. Preheat the grill to medium or medium-low (about 350 to 375 degrees F). Brush off the grill if there are any leftover food particles on it. Once hot, place the meat on the grill and close the cover. Cook for 15 minutes on one side. Flip, and cook another 15 minutes. Meat should feel firm, yet juicy and springy. For rare tri-tip, cook to an internal temperature of 120 degrees F. For medium-rare, 130 degrees F, and for medium, 140 degrees F. Note: Tri-Tip takes roughly 12 to 15 minutes per pound to cook. 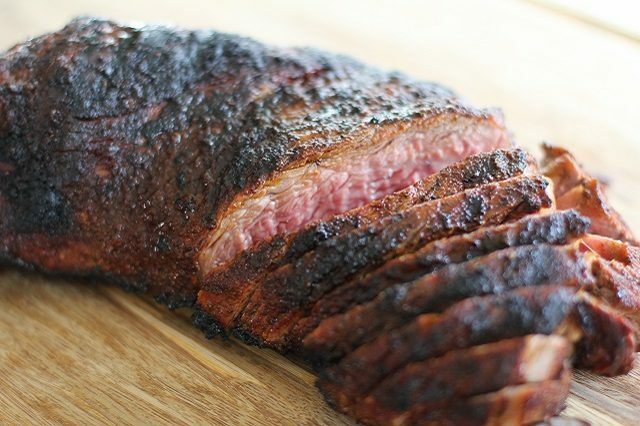 Transfer the tri-tip to a plate or a cutting board and allow it to rest for 10 to 15 minutes. This allows the juices in the meat to travel throughout the meat and seep out, making it tender, and helping to make cutting the meat easier. The meat will continue cooking while it's sitting, and the internal temperature will increase about 6 to 10 degrees. Heat corn tortillas in the oven or over the stovetop until warm and toasted. Cut the tri-tip into slices or cubes and add desired amount of meat to each tortilla. Top with chimichurri sauce, pickled red onions, and cotija cheese. YES! I love all these colors, and the combo of coffee-rubbed meat, pickled onions, and herby chimichurri sounds so fabulous. Totally trying this ASAP. 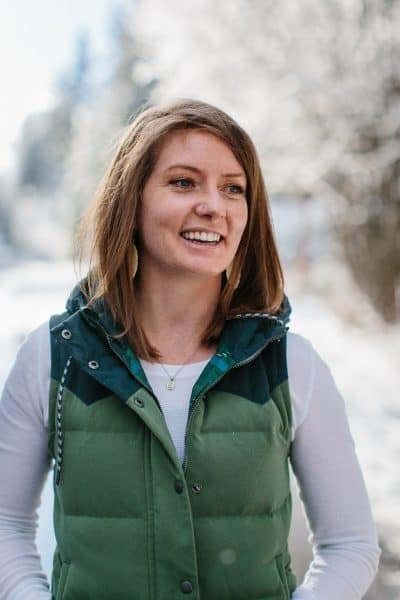 Coffee and taco in the same recipe?! Now that’s something you don’t see often. These are beautiful and sound delicious and I guess I’m more of a marinade gal but only because I’m not a grilling expert… perhaps I’ll try a rub…when I get a grill….someday…. Why can I not find the recipe, this happens a lot. 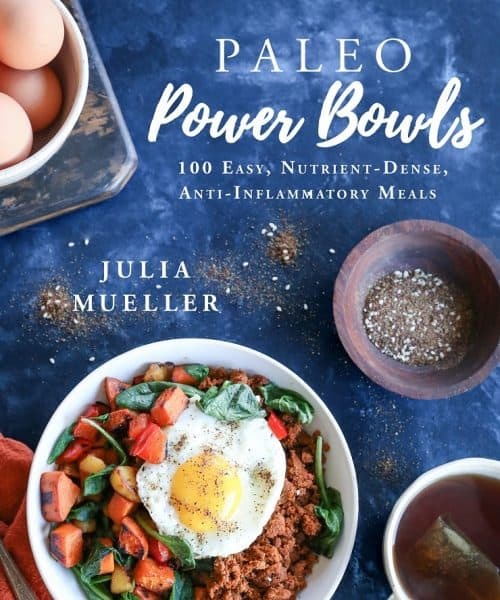 love this recipe cant wait to try it. reblogged it on my blog.